Is the garage door to your Murfreesboro, TN, home an accurate reflection of your personal aesthetic, or was it chosen by a previous homeowner? Has it been well maintained over the years, or is it dented, scratched, or otherwise unsightly? No matter your reason for disliking your home’s garage door, you can count on the experts at 31-W Insulation to help you find a replacement door that will perfectly satisfy your needs – and your wants. Choose a material – Our garage doors are available in a variety of materials, including real wood and multi-layer steel. Not sure which material will best suit your practical needs? Our experts can help you decide. Select a design – No matter your home’s architectural style, we can offer an assortment of garage doors that will provide the perfect complement. Add your own personal touches – Next, you’ll need to choose a door color, hardware, and other options (such as decorative windows) to make your door uniquely yours. 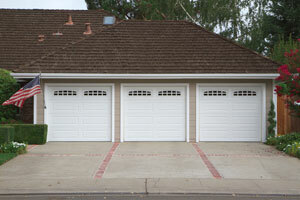 If you’re ready to begin the exciting process of choosing your home’s new garage door, contact 31-W Insulation today. We’ll gladly visit your Murfreesboro, Tennessee, home to provide a complimentary consultation and no-obligation design estimate. Be sure to ask about our other home improvement services, including the installation of attic insulation, fireplaces, gutters, and more.